When we cook food, there are high chances that we can get leftovers. This can be the case of chicken, French fries, pizza or even some sweet potatoes. Before we take the food, it is advisable to heat the food to make it tasty as well as to kill some bacteria that might have grown on the food. Many people have been using the microwave for the heating, but I believe there are other options available. Can we heat food in airfryer? Yes, we can. Below is a detailed discussion of how you can use the air fryer to reheat your food. 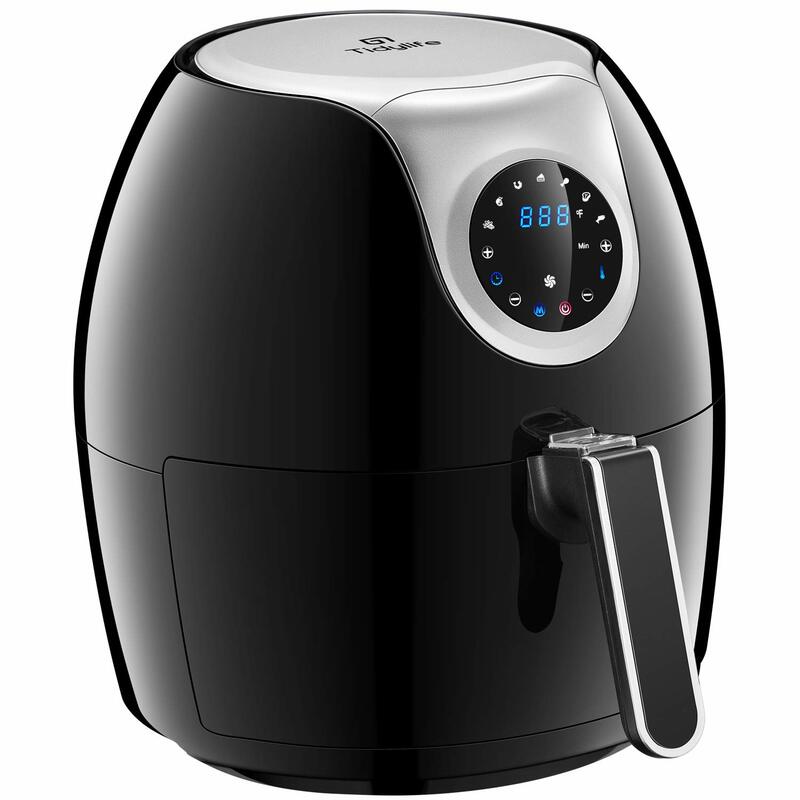 An air fryer is an advanced kitchen appliance that is used to air fry food. The appliance uses a special technology that generates radiated heat which is used to heat the food. In short, the device uses hot air to cook food. The fryer has a frying basket where food is placed, a fan which is used to circulate the hot air and a heating element which is used to generate heat. On top of that, it has a timer and screen where you can see the temperatures. The device is easy to clean, and it is used to mostly in baking, frying and reheating food. Which food can you cook in an air fryer? There are different foods that you can cook in the air fryer. The main food is French fries. Many people who don’t like oiled fries, using an air fryer to make the fries is a good option for them. Also, the kitchen appliance can be used to fry chicken. You only need to sprinkle or spray the chicken pieces with some cooking oil during the cooking process to get perfect results. Believe it or not, you can also cook vegetables in the air fryer such as broccoli, zucchini, Brussel sprouts, and several others. Furthermore, you can bake cakes using the same device. The procedure of reheating food is not that different from cooking using the air fryer. It is easy, and it varies with what you are heating. When it comes to French fries, you need to be very careful. If you store the fries when hot, they can easily get soggy. We know most of the foods we want to heat will come from the refrigerator. Therefore, remove the food and let it rest for some time. Preheat your air fryer and arrange the food well in the frying basket ( make sure not to overload). The reheating time varies from food to food. It is good to note that warming different foods take less than seven minutes. You need to flip or shake the frying basket to ensure that the food is evenly heated. From above it is evident that an air fryer is a great kitchen device. The device can be used to fry, bake and even heat food. The device is easy to use, and it is the best option when it comes to reheating food. Therefore, get yourself an air fryer today, and you will have an easy time in the kitchen.